New business for Burson-Marsteller, Ogilvy, We; new people at Burson-Marsteller, Pulse, DeVries, MSL; Powell Tate opens in Australia. 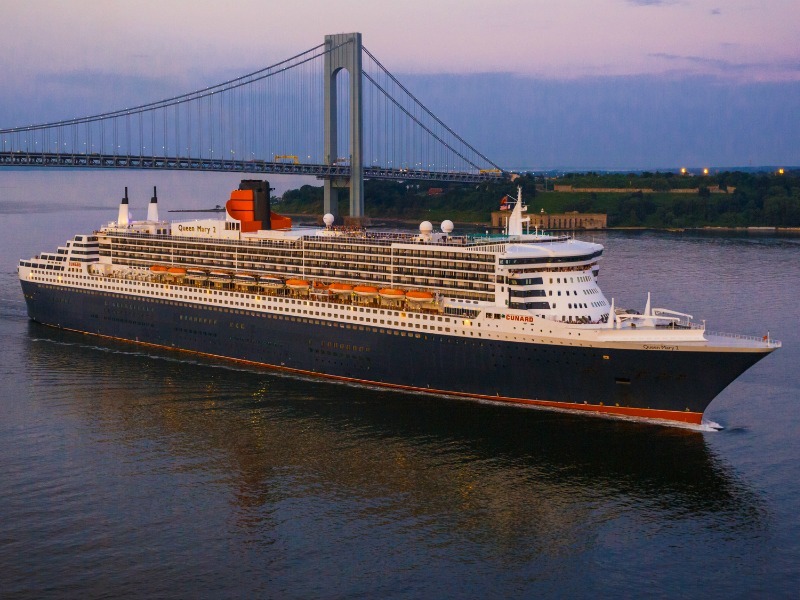 SHANGHAI—Burson-Marsteller has been selected as the brand communications partner in China for Cunard, operator of the luxury ocean liners Queen Mary 2, Queen Victoria and Queen Elizabeth. Led from Shanghai, Burson-Marsteller will work with Cunard providing strategic communications and brand marketing support. Cunard turned to Burson-Marsteller in time to welcome Queen Elizabeth and flagship Queen Mary 2 to Shanghai in March, as part of the 2016 World Cruise Programme. SYDNEY—Weber Shandwick has expanded its specialist strategic communications and public affairs firm, Powell Tate, to Australia with a new presence in Sydney. Jacquelynne Willcox, previously director of Weber Shandwick’s corporate and public affairs practice in Australia, will now lead Powell Tate Australia as executive vice president. Weber Shandwick Australia chairman Ian Rumsby will serve as chairman of Powell Tate Australia. HONG KONG—Burson-Marsteller has named Barry Wong managing director, creative and innovation, and Judith Ostronic managing director, regional communications and operations. Both Wong and Ostronic are based in Hong Kong and report to Margaret Key, CEO of Burson-Marsteller Asia-Pacific. Wong joins from his role as regional creative director for Commonwealth//McCann in Singapore and Bangkok, while Ostronic was previously regional director, marketing and new business. for Burson-Marsteller Asia-Pacific. SYDNEY—Pulse Communications, part of Ogilvy PR Australia, has appointed Christopher Kinsey as director. Kinsey was most recently head of PR and social for Banana Republic in Europe where he oversaw external communications through various channels and audiences. Prior to Banana Republic, he was divisional director, brand communications, at Weber Shandwick Belgium. He will be leading several of Pulse’s key client accounts including Ford, UBank, Australian Eggs Corporation Limited and Activision. BEIJING—DeVries Global has appointed Andres Vejarano as regional managing director, Asia. In a newly-created role, Vejarano will provide regional oversight across all of Asia. He joins DeVries from Edelman, where he spent the last six years working across the consumer, technology and digital practices, and leading global communications for Tencent and ZTE. Vejarano has also overseen programs for brands including Xbox and Samsung, and held major marketing positions at Unilever, Microsoft and Sony. JAKARTA—Ogilvy PR Indonesia has won a bid to provide communications services for the Bank of Indonesia with a focus on communicating the bank’s national monetary policies for 2016-2017. Appointed for a two-year contract, Ogilvy PR Indonesia will provide strategic brand and communications services, including digital content, PR and creative design. SINGAPORE—WE Communications has been appointed as the new regional public relations agency for Amadeus—a leader in travel technology that connects businesses to the global travel ecosystem—to provide integrated services in Asia Pacific. SINGAPORE—MSLGroup has appointed Lina Marican as associate director of the consumer practice in Singapore, developing campaigns for various regional and Singapore-based clients across the FMCG, TV network content and travel and leisure sectors. Most recently, Marican was vice president of consumer PR at Lazada Group. Previously, she had led integrated digital projects at [email protected] and worked on campaigns for Nestle and the Health Promotion Board of Singapore. SINGAPORE—Brand consultancy The Partners has appointed Anupam Yog as strategy director in its Singapore office. He will be responsible for spearheading The Partners’ strategic offering across the Asia-Pacific region with a particular focus on India. He joins The Partners from his role as marketing director of retail property developer Virtuous Retail from The Xander Group, where he led strategy and experience design.